Day Camps, Specialty Camps, Leadership Training for teens and more! Flexible Scheduling, Fantastic Facilities & Fun Staff! 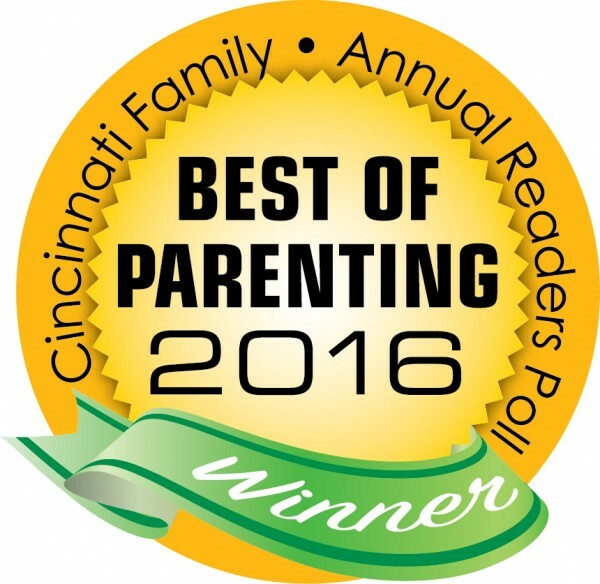 Thanks for voting us "Best Day Camp" in the Best of Parenting Annual Reader's Poll! Check out our 2019 Summer Camp Interactive Brochure! “Slip n’ Slide Mountain” giant water slide! Covered pavilion for lunches and crafts! 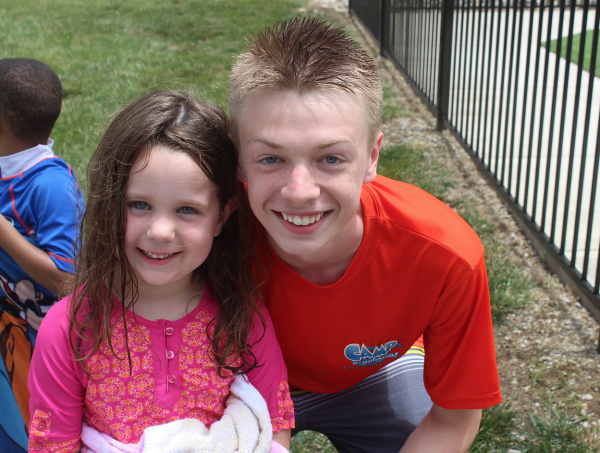 Click for more info on our awesome day camp opportunities! Ask any camper! 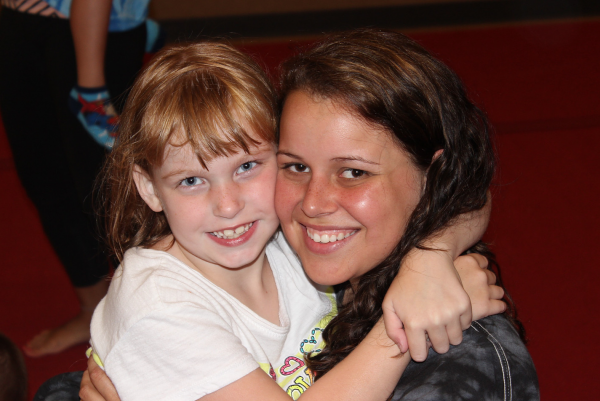 Camp-a-Palooza counselors are special people chosen for their compassion and love of children. And they’re just plain fun! The majority of camp staff are college–bound to college graduates. 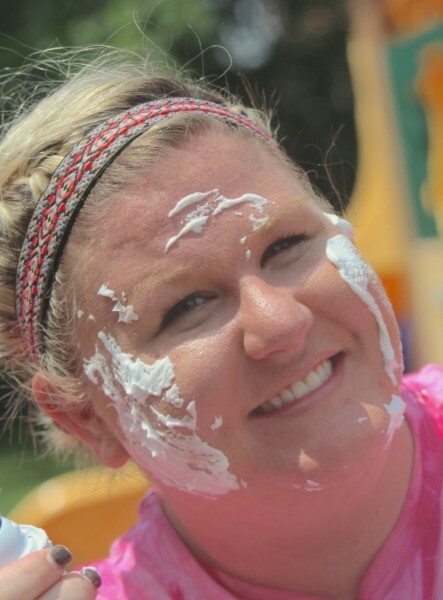 All are deeply committed to the care and development of each and every camper. We don’t cut corners in our training. Camp-a-Palooza counselors are American Red Cross CPR and Standard First Aid certiﬁed and attend courses in Character Development and Leadership Training. If you know someone that you feel would be a great fit for our staff, please encourage them to apply! We typically hire staff beginning in February thorough April. For more information, click here. View our 2018 Activity Calendar here on our new website! Extended Hours: NEW Pricing Structure! Easy for Working Parents! For all day camp pricing and discounts, click here! Every third full week attended is 25% off! Attend Weeks 1, 3 and 5 (all full weeks) and get Week 5 at 25% off! Then attend weeks 6, 7 and 9 (all full weeks) and get Week 9 at 25% off! Bring A Friend Discount: Bring a friend (NEW to Camp-A-Palooza & non-sibing) to a week of camp and receive $50 each off a full week/ $25 each off a partial week of camp! Discount can be used once per week. 10th, 11th and 12th full weeks attended - Attend 9 full weeks of camp and get your 10th full week at 50% off, 11th full week at 50% off and your 12th full week at 60% off! Sibling Discount (NEW Structure in 2019 - Better for Families!) - First child pays full fare. Second child gets 20% off tuition. Third third gets 30% off tuition and fourth child gets 40% off tuition. Max sibling discount is 40%. Specialty Camps: Experience Hands-On Learning! 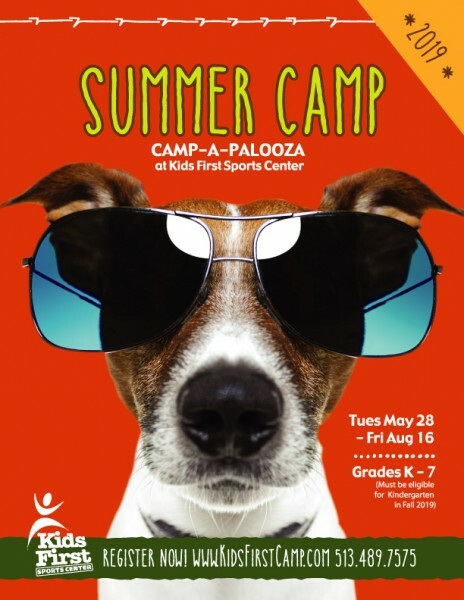 Camp-A-Palooza Specialty Camp Programming offers half-day camps for those wishing to expand their knowledge in a specific area or discipline including technology, science, art, among others! These half-day specialty camps can be done stand alone or combined with our full day Camp-A-Palooza programming for working parents or just for a full day experience! See Full List of 2019 Specialty Camps here! Venture Camp: Field Trips Every Day! Our Venture Camps are for the young field trip enthusiast! Explore more of Cincinnati’s best field trip locations including a full day at Kids First Sports Center’s Camp-A-Palooza with 4 field trips per week! Every Friday is a day of fun, sun and Kona Ice at Kids First with Monday through Thursday spent traveling to hot spots around the Queen City! - Venture Camps depart for most field trips around 9:15-9:30am; some leave as early as 8:00am! - Includes all lunches, transportation and field trip fees! - No sibling discounts applicable. For full list of 2019 Venture Camps, click here! If more than one party is sharing program payment responsibilities for child/children and for tax purposes, you need the tax statement to reflect separate payments made by each party, you must communicate this in advance. Separate billing accounts can be set-up upon registration. We cannot separate accounts to reflect payments made by different parties for a child/family after your child starts the program. Many parents claim camp expenses on their taxes or get reimbursed through flexible spending or child care reimbursement accounts. If you need the Tax ID number for any reason, please email Megan at msmith@kidsfirstsports.com. It can also be found in your Parent Handbook. The Leaders in Training Program is a leadership development program designed to provide teens with the skills and knowledge to interact and communicate successfully with individuals and lead groups of all ages. For more information or specific questions on Summer Camps or LIT, please contact Megan Smith - 513-489-7575 | msmith@kidsfirstsports.com. I wanted to thank you overall for what a great job you've all done to put this camp together. My daughter usually takes a while to warm up to new things, but she LOVED her first day at camp. She couldn't stop talking about all the activities and can't wait to see what's next. I can't tell you what a relief it is to know that she is happy, trying new things, and in great hands. ~S.Z. I wanted to let you know how much my son has enjoyed his time at Kids First this summer. He will be back for some more fun next summer! I also wanted to say thanks to you and your team for accommodating my older son (with some special needs) as well. I really appreciate the opportunity for him to be involved, though he is hard to persuade to participate in some things, it still means a lot to him and me that he can come. ~S.A. Cooper really enjoyed the time he's had a camp. I just wanted you to know that your counselors have been amazing. Cooper had a particularly great time with Cullan and Eric. He talked non-stop about how much fun and how awesome they were. This was his first time attending anything like this, so thank you so much for making this such a fantastic experience. Thanks again for such a wonderful experience!! We look forward to attending again next summer! ~K.B.